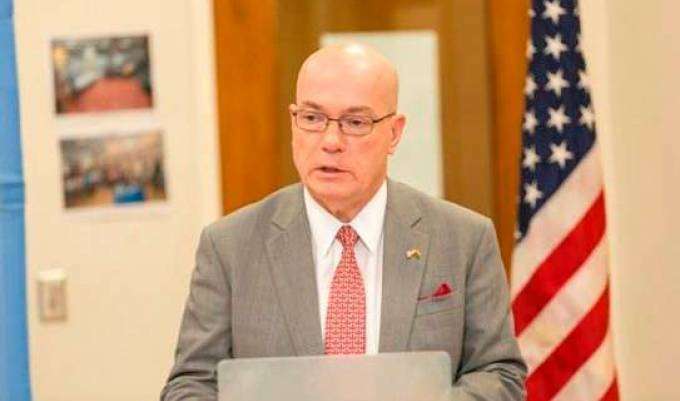 The US Embassy in Accra has warned its nationals to refrain from going to some communities in Accra that have had incidents of violence recently. “The U.S. Embassy informs U.S. citizens that, due to credible reports of growing crime rates, U.S. Embassy personnel have been instructed to avoid the following precincts of Accra: Avenor, Sowutuom Sukura, Agbobloshie, Ashaiman (located in the Tema Region) [and] Nima (Except when traveling via the main highway past Nima),” a security message posted on the Embassy’s website on August 24, 2017, said. There was heavy security presence at Avenor in Accra earlier this month following clashes between some spare parts dealers and workers of a private developer. The two factions are laying claim to a piece of land said to be a state property. They both have been stopped from developing the land following an interlocutory injunction. But one of the factions allegedly poured petrol on the vast land. One vehicle was torched in the process. In Sowutuom recently, some angry residents threatened to attack Nigerians living in the area after the stabbing to death of a Ghanaian by a Nigerian. Police were later deployed to the area to restore calm. The other areas- Agblogbloshie, Nima and Ashaiman- which are often mentioned for violent-related activities, have, however, not recorded any major incident for some time now.